You’re reading novel Trial Marriage Husband: Need to Work Hard Chapter 87 online at LightNovelFree.com. Please use the follow button to get notification about the latest chapter next time when you visit LightNovelFree.com. Use F11 button to read novel in full-screen(PC only). Drop by anytime you want to read free – fast – latest novel. It’s great if you could leave a comment, share your opinion about the new chapters, new novel with others on the internet. We’ll do our best to bring you the finest, latest novel everyday. Enjoy! Everyone in the industry already knew about how she had seduced the boss of Tianyi. But, who would have thought she'd be so brave to compete for an award when she was carrying a child. "The award flew right out of her hands, how pitiful. However, it's what she deserves. A person like her should be taught a lesson and experience falling to her death!" "This was a live broadcast, not just a simple bit of humiliation." The private whisperings below the stage was a huge contrast to the scene above. Mo Yurou widened her eyes and glared at Tangning, her pupils were filled with a deadly hatred. She had realized, the only person that hated her so much and would take her down like this...was Tangning! Tangning must have known about her pregnancy. She must have kept her knowledge hidden while she planned out the perfect trap. Tangning was too good at enduring and too ruthless! Mo Yurou covered her face and cried; she had really underestimated Tangning. She felt regret and pain; how could she have not been wary of her? "Tangning, how could you be so ruthless?" Mo Yurou said through gritted teeth as she held back her anger and tears. Tangning looked at Mo Yurou, she was calm and collected. Her eyes were glowing like she was looking at a joke, "Don't tell me this isn't what you deserve. Mo Yurou, you are officially eliminated." "Blood...Quick look, Mo Yurou is bleeding, could it be a miscarriage?" "Oh G.o.d, so her pregnancy is true...how disgusting." "A person like her that steals someone's fiancee then parades around town, deserves to have a miscarriage. This is justice, even G.o.d couldn't take it." Following the guest's screams, the organizers called for the First Aid nurses. They put her on a stretcher and carried her out while she glared at Tangning. With her lips, she mouthed the words, I am pitiful, but you won't be any better off. You still haven't found out Han Yufan has sold you off yet. Mo Yurou thought Tangning would reveal a sense of fear, but she remained calm; unaffected by her words. 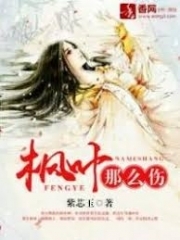 Mo Yurou smiled to herself in realization; Tangning had used such extreme measures on her and completely taken her down, as if she would be afraid of one measly Han Yufan. Tangning, oh Tangning, you are terrifying beyond belief! The entire incident was just a small interlude in the ceremony. Mo Yurou was immediately sent to a partner hospital, resulting in the news of her pregnancy and miscarriage spreading to everyone in the country, including all the reporters. Afterwards, the ceremony was temporarily paused for 20 minutes. Once the organizing committee got everything back in order again, they continued the awards presentations. At this time, Tangning had already returned to her seat. Li Yu was sitting on the seat furthest to the left. He got up and weaved through the crowd of people towards the peacefully seated Tangning; he was slightly afraid. He had always thought Tangning was at a disadvantage in the battle with Mo Yurou. But, not until the scene that just happened played out in front of him, did he realize, Tangning wasn't someone he should mess with. It was hard to know how much she could endure and how much support she had behind her. As for Mo Yurou, now that she had been taken down, Li Yu only hoped she would keep their secret hidden as promised. If not, she shouldn't be surprised if he did something ruthless. the biggest award of the night was presented, the host stood on the stage with a mysterious smile, "This year, The Annual Model Awards has introduced a new category: the Special Contribution Award. The recipient for this award was selected based on their skills in all aspects and was specially created for those that had made a special contribution to the fas.h.i.+on industry. Votes were cast anonymously by the judges. Coming up, we will be presenting the Special Contribution Award. Please welcome the guest presenter to the stage, the CEO of Cheng Tian Entertainment, Miss Lan Xi, to announce the recipient." Below the stage, the audience erupted in applause; they were curious about this new Special Contribution Award. Not long after, the CEO of Cheng Tian swiftly headed on stage and tore open the secret envelope; the corners of her mouth curved upwards slightly into a smile as she spoke, "I am honored to be invited to present this award which no one has any idea about." "Th recipient is someone amongst you." "Let us congratulate, the recipient of the Special Contribution Award, Miss Tangning. Please come to the stage to receive your award!" "Tangning, hurry to the stage, they called you," the person beside her leaned towards her and spoke. She awoke from her daze. This was something she never expected. "The front cover of Secret, not only helped a forgotten magazine return to its former glory, it also ignited the Oriental Trend in the European and American markets. It gave the Asian culture a step forward and has made a huge contribution to the promotion of the Asian culture. According to the largest online portal in the US, Tangning's Oriental Trend has broken many records in the magazine industry; beating its opponents by a long stretch. As for Tangning's professional performance, she was able to bring out the charm in the Oriental culture, help foreigners develop an understanding of Asia as well as fall in love with the Oriental Style. So for her, this award is well-deserved!" On the big screen, the sales numbers of Tangning's Oriental Trend magazine and images of the hype surrounding the Oriental Trend in the foreign market were shown. Especially when Cheng Tian's CEO placed the trophy in her hands, she couldn't endure any longer as tears trickled down her cheek. "Come, give us your speech." Tangning approached the microphone, her voice was a little stiff. After a little while, she managed to hold back her emotions as she spoke, "I really never expected the committee would present this award to me. I feel a little ashamed because when I was shooting for the magazine, I didn't actually think about what kind of contribution I could make, I simply just wanted to do the best I could." 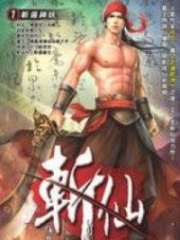 You're reading novel Trial Marriage Husband: Need to Work Hard Chapter 87 online at LightNovelFree.com. You can use the follow function to bookmark your favorite novel ( Only for registered users ). If you find any errors ( broken links, can't load photos, etc.. ), Please let us know so we can fix it as soon as possible. And when you start a conversation or debate about a certain topic with other people, please do not offend them just because you don't like their opinions. You're reading Trial Marriage Husband: Need to Work Hard Chapter 87. This novel has been translated by Updating. Author: Passion Honey, 百香蜜 already has 7318 views. Current Time is Apr-24-2019 00:10:26 AM.